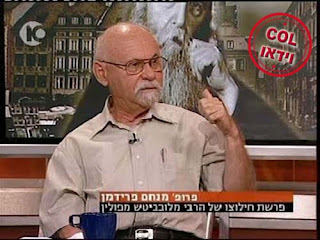 Prof. Menachem Friedman on Israeli TV pontificating about the Rebbe and what he did, didn't, and should've done during WWII. That look - or more accurately that scowl on his face - tells me alot. Thanks to the curiosity of A Simple Jew I was supplied with a post for today. He's kind enough to browse ebay for anything pertaining to Lubavitch and Jewish Hungary, so often times there are some real gems out there for us to enjoy. 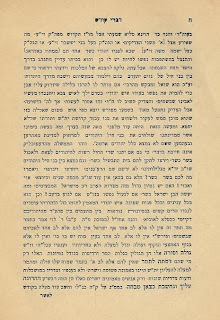 What we have here is a pamphlet of the Torah that the Munkatcher Rov, the Minchas Elozor, spoke on Hoshana Rabboh of 5693, where during saying the Hoshanos he would stop and speak Torah BiBechiyos Atzumos, KeMinhag Sanz. The late Satmar Rov also carried on that Minhog, and some of the most dramatic Torahs were said during the Hoshanos. Speeches about Chinuch, Tznius, and Tziyonus were commonplace, all accompanied by loud cries. The Kanoyim in Eretz Yisroel used his speech against the Agudists and moderates to try and get them to right their erroneous ways and be saved from G-d's wrath. In the speech the Rov relates a story he heard from his Zeide that happened with either the Yismach Moshe or Bnei Yissoschor, where a small-town Jew came to him with a dilemna. He had a son who was a good Jew and went in G-d's ways, but was now about to be drafted into the Czar's army. His father knew that he would have a very difficult time being observant, and would probably not come out of there a religious Jew, so he wondered if he could somehow avoid the problem. He'd kill his son, says the father, all so that he'd never transgress G-d's will, and all will be good. Of course he was told that he may not kill his son, and that G-d will help him and the boy, but we do see how even for this simple villager losing his son would be nothing compared to having him leave the way of the Torah. "That was 100+ years ago," said the MR, "what would should we say today" (70 plus years ago - HT) when our boys are sent as far-away as Bohemia and Moravia and are told by army Rabbis there that no longer is it necessary to eat Kosher and keep Shabbos?!" Review - "From the Ashes"
"But the movie was bizarre. Clips of R' Weinberg talking about himself, or other people talking about him and the yeshiva, and how great they are, looking for all the world like an ad for Aish HaTorah - come to our yeshiva - alternating with clips of Holocaust scenes narrated by some guy with a South African accent (some British colony or another). Why the pictures of the Holocaust, except that it's a Tisha B'Av movie, and of course we have to bring up pictures of the Holocaust? The whole thing was very self-serving, and not so interesting in terms of actual kiruv." Watch "From the Ashes," the "Internal Video turned Public." 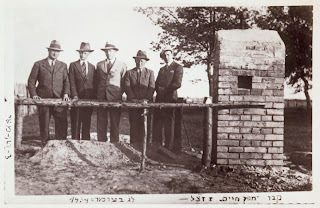 "60 Aish Rabbis travel to Poland in 2006." Get involved. See Rabbi Noah Weinberg do his best Jackie Mason impression. Help stop the "Spiritual Holocaust." I see the Aishsters learned well; Substitute Rosh Yeshivah for Rebbe, and you have an improved Chabad with better looking Rabbis. Maybe Chabad should consider the clean-shaven Shliach look too? From Reb Chaim HaQoton: Incidentally, I also learned from the wiki that the Director of Audio and Music for the BBC is a granddaughter of Rav Chatzkel Abramsky. It's thanks to Akiva of Mystical Paths that we have this thread. He probably didn't intend for them to be used this way, at least I don't think he did. 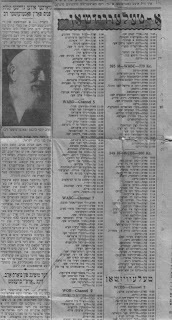 He sent me this article from the old Forverts of January 29, 1954 where there was an story announcing the arrival of the late Ponovizher Rov to Newark, NJ, and a subsequent fundraiser there for the Botei Avos Childrens' homes which were started and run by the PR. [It appears right next to the day's TV listings, not that he could do anything about it.] It's interesting to note that the announcement was placed in a Socialist anti-Religious paper, and it wasn't an issue in those days. I'd also bet that most of the Yidden there in Newark at the parlor meeting, and probably the host himself, were not Shomer Shabbos either, yet the Rov took their money gladly, and built the great institution of learning with it. Interestingly enough there's no mention of the great Yeshivah on the Hill in the Ir HaTeyreh Bene Beraq! The Harvard of Yeshivos gets no mention as part of the Rov's activities! The halls where Maran of Vaboylnik - the greatest leader the Jewish people have ever known - are not mentioned! In the spirit of the 9 days I would say that maybe the PR made separate trips for the different institutions under his auspices; so this trip was probably only for the Childrens' homes. Or, maybe we can say that the late PR was not the radical that some people would like to reinvent him as, and maybe he was a true Ohev Yisroel. Maybe to him the biggest zechus a Yid could have - even a Mechalel Shabbos r"l - was to allow him to support institutions of Torah, and maybe that would eventually bring him back. Maybe the late Rosh Yeshivah, who used the Ponovizher Yeshivah as his pulpit, really didn't follow the spirit of the founder, although he WAS the one who hired him?! Well, what can I say? there I go again, trying to figure out what went on in peoples' minds decades ago. For those interested in knowing; here's the Sichoh where the Rebbe speaks of not sleeping in the Sukkah. Use any intellectual honesty you can muster to try and understand. The objective ones amongst you will surely see it. Rav Tzvi Kahana was an Alter Mirrer who later moved to Eretz Yisroel and started his own Yeshivah. 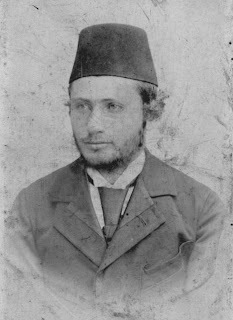 It seems like it is a sort of unique Yeshivah, in that it seems to have all types of students there, from modern "Mizrachi" to "Meah Shearim" types. He passed away in 5756. He seemingly didn't buy into the Misnaged gibberish he was hearing in Bnei Beraq at the end of the 5740's about the Rebbe and Lubavitch, but some of the supposed Taynes bothered him, so he decided he'll go ask the Rebbe himself. I guess he was in New York anyway, since he had his wife - the daughter of Harav Yitzchok Arieli - with him, and I don't think he would come antagonize the Rebbe with his Rebbetzin at his side. So, we can imagine his surprise when the Rebbe "as if" let loose on him, and gave him "in Tatten's arein"as if he were public enemy No. 1. After all, he really wanted to know what the story was, and he never really got a straight answer. But I imagine that had Reb Zvi a trop seichel, which he seemingly did, he would've known that the Rebbe didn't mean him. He knew that the message would get back to the elements in Bene Beraq, and he wanted them to hear him without addressing them directly. The point here was not defending the position of Lubavitch re; Sukkah, because that's really not the gripe they have with Lubavitch. Other Chassidishe Minhogim, often times Heypech Shulchan Aruch bother nobody. The fact that they had no problem with "any other Rebbe" just goes to show you how they sat there like Tattelech listening at the Moetzes meetings, and shaking their heads in unison when the Roshei Yeshivah decided something. The problem for them was the Rebbe, a thorn in their collective sides, and nothing he could say or do would make him find favor in their eyes, unless he sat quietly and became one of the "Yes-Men." Not the first "thorn" but the seventh for some of them, but the greatest of them all. Now they finally had good reason for the 200-plus years. Of course, one could not just point fingers at him without "good reason," so they sat and scrutinized all that he said and did, and they found plenty of "proof" for their stance, including quotes from "Gedolim." So you see Rabbi Kahana, "Nit eich meint men," you're only the messenger. A number of years ago, I went to my 10th high-school reunion, in the backyard of the one classmate whose parents had a pool. Lots of my classmates were there. Almost all were married, and many already had kids. This was not as unusual as it might seem, since I went to a yeshiva day school, and nearly everyone remained Orthodox. I brought my girlfriend. At the end, we all crowded into a big group photo, shot by the school photographer, who had taken our pictures from first grade through graduation. When the alumni newsletter came around a few months later, I happened to notice the photo. I looked, then looked again. My girlfriend and I were nowhere to be found. "HOW ABOUT HELPING THE ALREADY-FRUM PEOPLE? 2. I will somehow borrow money for this super large expenditure and be able to slowly pay it back, Be'ezras Hashem, over time. It costs about $1100 to send one child to day camp. Multiply that by five. What can I say? It sounds crazy, but the children's school tuition is not as much or as impossible to pay. I know plenty of people who have no choice but to keep their children home all summer. Why is there no organization/fundraiser for people in this matzav -who are already frum? It does not seem fair to me. Why can't a "no-frills" camp be created? The children don't need to go on a big trip every week. Just have the children occupied with a structured program of inexpensive games and fun, which would make day camp an option for everyone without requiring them to take a (second? third) mortgage on their house. Who says the Tzig doesn't like the Yated or it's readers?! I did read the book when it came out, and it did shock me, but not in a way that Berger intended. The book is littered with gross misstatements of fact, stupid assumptions that showed how little he knew about his subject (any Lubavitcher could have corrected many of these, had he bothered to ask one). But besides these little things, it betrays a major flaw in its premise. The entire book is based on the premise that if he can establish that Chabad is like the first generation of Xians, then he has landed a damning blow. He never stops to consider whether those early Xians, who believed that their dead Rebbe was the moshiach, were michutz lamachaneh. He assumes that Jews must not be like those people, that we must not share their belief, that there is some sort of aveira or apikorsus in doing so. But he never bothers to prove it. I have been saying for the past 13 years, long before Berger's book came out, that the meshichistn are exactly like those early Xians. But I don't see it as a chisoron. You will not find a din, in Shulchon Oruch, Rambam, or anywhere else, that one must not believe that Moshiach will come from the dead. Es shtait nisht. And if someone wants to believe that of Yoizel, as far as I'm concerned, gezunterheit. So long as he believes in everything that a Jew must believe, and keeps all the dinim that a Jew must keep, he can believe whatever else he likes. The only things he might be over on are the possuk ve'omru rak am chochom venovon hagoy hagodol hazeh, and the line in Tanya which says ve'al yehi shoteh. But we all have our own mishugassen, so I'm willing to let this be his. Al achas kamoh vekamoh when he believes not in Yoizel but lehavdil in the Rebbe. Berger, though, seems to be fixated on the idea that Yiddiskeit is defined as "not-Christianity," and whatever he can identify as Xianity must automatically be anathema to Jews. Well, it ain't so, and this invalidates his entire jihad against Lubavitch. One piece in his book starkly demonstrates the depth of his blind fanaticism. He talks about a Lubavitcher he used to admire, who had shown amazing mesirus nefesh in the USSR, literal readiness to give up his life for der Eibershter, and Berger used to admire him for it. But then he heard this Jew express himself in a way vos hot em nisht gefelen, he heard this Jew say what he is convinced is apikorsus, and he wrote how much it pained him to have to reject this Jew and condemn him to the depths of the Pit, chas vesholom. Her tzu, if this person is such a paragon, and he says something that you don't like, did it cross your mind that maybe he's right and you're wrong? Did you even consider it for a moment? Maybe you too should become a masochist like him? If you did think of it, but after careful consideration were not persuaded, meileh; I'm also not convinced, I also don't share this yid's views, so how can I demand it of you? But Berger didn't even consider the possibility. He's a fanatic, it's like he's a vampire and he's terrified of anything that even vaguely resembles a tzeilem, because his entire Yiddishkeit seems to be defined as a negative; he's not a Jew, he's a not-Xian. He's made his career battling Xian missionaries, and for him now to admit that some of the arguments he made against them may not be as strong as he thought, this is impossible for him. In reality, Berger and the neo-misnagdim are making exactly the same mistake as the radical meshichistn. The yellow people insist not just that the Rebbe is moshiach, but that everybody must acknowledge it, and one who denies it is an apikores. And the neo-misnagdim say the exact opposite; not only is the Rebbe not moshiach, but everyone must deny it, and one who accepts it is an apikores. Both sides of this coin are equally alien to ruach yisroel sabbo, and I reject both with equal vehemence. (Nevertheless, while the meshichistn may not be apikorsim, they are embarrassing, and I wish they'd keep their eccentric views to themselves. But I wish the same about Manis Friedman with his homeopathy, and Mrs Halberstam with her crusade against the second amendment, etc. That doesn't make them michutz lamachaneh, or their wine and shechita treif, ch"v). Their lifestyles include as much assimilation with the general culture as possible to the point where some of their activities border on Issurei Arayos, those laws guiding sexual behavior. Here are a couple of observations I have made over the years. *Far too many Modern Orthodox Jews can be seen dancing with the spouses of other people at weddings and Bar Mitzvos that have social dancing. *Mixed swimming is the norm in the MO communities. Women will wear the most fashionable two piece bathing suits they can afford. Yes, I’ve seen it. I admit that I used to go mixed swimming in the Glatt Kosher Hotels in Miami Beach back in the eighties. I no longer do. The truth is there were plenty of Charedi Jews by the pool too. The men wore black hats to Shul and in the streets. The women wore expensive wigs and were normally very modest in their dress,well within Halacha. But they also went to the pool every day. They covered their hair at the pool… but not much else! Their kids? Well, many had Peyos and in most cases went to right wing Yeshivos in New York. I wonder where David Berger fits in here, and if he wrote his book while watching those "very fashionable..........."
Chabakuk Elisha writes: 10 Sivan 5750 – During distribution of dollars for Tzedoka. (found in Toras Menachem 5750 Vol 4, P. 325) – Note: This is a quick free translation, I don't claim that It's perfect – please look it up on your own. HRH"G R' Zvi Kahana: I'd like to ask the Rebbe about the issue that troubles the Bnei Torah in the Yeshiva world regarding the practice in Lubavitch that one doesn't have to, or is forbidden to, sleep in the Sukka. How should I respond? 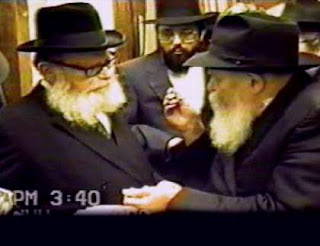 Rebbe: You shouldn't respond at all, because this question is asked by those who only seek to reignite machlokes and sinas chinam, therefore it is best to keep away from them – and certainly not to get involved in responding, explaining, or halachic pilpulim, as if this is even a legitimate shayloh, rather, this is nothing other than a nisayon to create machlokes and sinas chinam. 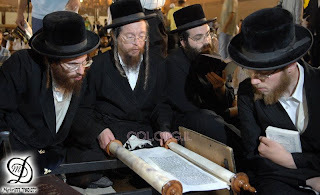 The hanhoga in Lubavitch – which is, by the way, also the hanhoga in Belz – regarding sleeping in the Sukka was well known and mefursam for over a hundred years! Back in the days of the Mitteler Rebbe, who was himself quite a lamdan, this was the practice, and this was what he saw in his father's home by the Alter Rebbe, the Baal HaTanya & Shulchan Aruch. There is no chutzpa greater than this klape the Alter Rebbe: to come along now, after a hundred years, and come up with shaylos about this practice! And this chutzpa is combined with dishonesty: as if this is some new innovation in our generation – when this is known to have been the practice for generations! A Gadol b'Yisroel in past generations was once asked regarding the statement in the Gemara (Rosh Hashana (22: ), "Kol milsa davida lagluyei lo mishakrei bo inshei (that people don't lie about things that are done publically)" – how can the Gemara say this when we clearly see people that lie even about things that are easily verified? And he responded: The Gemara explicitly says "inshei," i.e. those that lie about such things aren't even in the category of "inshei." And in this case, they lie, not merely about something that was done publicly, but about something that was well-known and common knowledge! I ask you, why associate with such a mechutzaf?! Chazal warn us, "hamisabek im menuval misnavel gam kein." R' Kahana: My intention was merely to be meorer the need to explain this for the Bnei Torah . Rebbe: "Bnei Torah" need to act like talmidim of Moshe Rabbeinu, the first mikabel, as it says in Pirkei Avos "Moshe kibel Torah misinai, umesoroh, etc, vehemidu talmidim harbei." 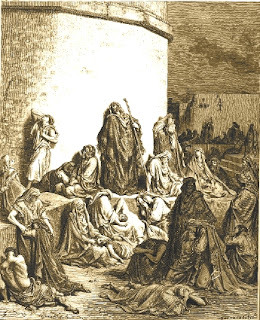 It is important to know if one is a student of Moshe or not; it needs to be contemplated if this behavior is in accordance with Moshe Rabbeinu's: Moshe sought to create achdus in Klal Yisroel – as we find, when they left Mitzrayim and stood at Har Sinai all twelve shvatim were "K'ish echad b'lev echad." This is the hanhogoh of Moshe Rabbeinu, and this is the hanhogoh of talmidei Moshe Rabbeinu – as we see that the general hanhogoh of all Gedolei haTorah, from all circles, was to bring peace and achdus. R' Chaim Volozhiner, a talmid of the GR"A, wasn't a chossid, but he wasn't a misnaged either – in general, religious Jews weren't "misnagdim," but there are some mechutzafim that act as shluchim of the Samech-Mem – and it is known how R' Chaim worked closely with the Mitteler Rebbe, both in matters of halacha as well as joining together in matters of askanus, etc. Similarly, his son R' Yitzchok stood together with the Tzemach Tzeddek, both in matters of halacha and askanus, which is well known and verifiable (even non-Jewish sources can attest to this, so you can't suspect Chassidim of making it up) – such as their mission to Petersburg to nullify the gezeira forcing Jewish children to study in secular schools. And in later years, keyodua umefursam, the kesher and the closeness between R' Chaim Ozer and R' Lifshitz of Kovno with the Rebbe Rashab and his son the [Previous] Rebbe, and how they worked shoulder to shoulder to defend and strengthen Yiddishkeit in Russia, and how they signed together on many kol korehs, etc. So, after a hundred years of peaceful relationships among gedolei Yisroel from all circles, one Jew stands up, calling himself a "Ben Torah," signs his name "harav," and claims to be carrying on the path of Gedolei Yisroel that devoted themselves to hatzolas Bnei Yisroel, and what does he do? He ignites machlokes and sinas chinam b'Yisroel! Such a Jew is not considered a "Ben Torah," because even if he studies Torah, it is apparently not lishma, resulting in his being moreh hepech hahalacha – as the Gemara tells us about one who learns Torah shelo lishma – igniting sinas chinam b'Yisroel! Furthermore, not only is the psak hepech halacha, but their entire metzius becomes hepech halacha: they become soldiers of the Samech-Mem, hepech halacha. Regarding milchemes Midyan it is written that they stood "keneged klal Yisroel, which is tantamount to opposing HKB"H." It is explained in seforim that the word "Midyan comes from "Madun uMeriva (fighting)," and those who cause fights among Klal Yisroel are messengers of the Samech-Mem, the same one who caused the Ma'aseh Midyan – except that with Midyan the method was through the Midyonite women and now he found a better approach: to involve people called "Bnei Torah" to create machlokes and sinas chinam b'Yisroel. They think that this is something new, but in truth this has already existed – in Midyan. And I say this publicly, and I'm not bothered that it will get out, since this isn't my chidush – this can be found in seforim. It is written regarding anyone that makes machlokes and sinas chinam in klal Yisroel – whomever he may be – that even if he acted properly for many years – for 119 years – the Navi Yechezkel states regarding tzidkas hatzaddik: "even one who was a complete tzaddik all his days, but in the end he acts be'ofen hofchi" – and especially in our case, where the individuals creating the machlokes have always sought machlokes, only that in the past they were more cautious and careful with their words that it shouldn't come out clearly – but I don't want to continue with what is written in Yechezkel since I am in the business of brochos. They deal with the opposite of brochos, go investigate and decide for yourself what they deserve for their actions. As I said before, I wonder why you associate with them altogether. Rebbe: They aren't "Bnei Torah." They are mechutzafim who oppose Toras Moshe in that they seek only machlokes and sinas chinam after a hundred years of peace! Regarding chutzpa such as this the Gemora states "at the time preceding Moshiach, chutzpa will abound." Stam chutzpa always existed, but when we see chutzpa like this it is a siman that we are B'ikvasa De'moshicha, when chutzpa abounds among those who fulfill the will of the Samech-Mem: to bring sinas chinam – the reason for galus – and through that to delay, chas veshalom, the geula ho'amitis vehashleima al yedei Moshiach tzidekeinu! All the "kitzin" have passed, and the fact is that Moshiach has still not come – and the guilty party is those that incite machlokes and sinas chinam b'Yisroel! 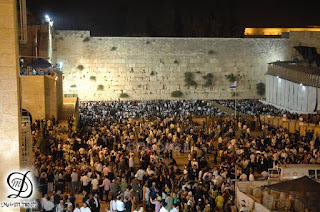 There is no greater obstacle to geula than this! Rebbe: They know this already, and it has already been printed in seforim. It is unnecessary to explain things that they know themselves – and you can find proof in megilas Shang-Chai: there they knew to maintain a kesher with Lubavitch, and they had no problem coming to Lubavitch for help, and Lubavitch did everything possible to assist them. Some were brought to Israel and others to America, and there was real achdus and shalom – so much so that it began to erase the sinas chinam that had existed and that had brought galus about. And, of course, al pi halacha, if the cause for golus has been removed, Moshiach would have to come and bring Geulah. So that's when the Samech-Mem stepped in – and he found Jews with long beards, that learn in Yeshiva, and he shook up what is found in the chalal hasmali (which need not be explained) and caused them "lehoros hepech halacha, " bringing machlokes and sinas chinam. We find that when Moshe took the Bnei Yisroel out of Mitzrayim, Pesel Micha was taken along as well – which was the cause for quite a bit of trouble later on – nevertheless, we cant criticize Moshe Rabbeinu for allowing it to come along – so I'm not surprised that "Pesel Micha" came along from Shang-Chai… Once again, the wonder is why you associate with them. And I wonder about your idea here: that a descendant of the Tzemach Tzeddek, who was named after him, should publicize and be meorer the kesher between his zeide and R' Yizchok MiVelozhin! Is it necessary for me to do this?! Do they not already know this?! They hide from those facts and pretend not to know merely to make machlokes and sinas chinam. Rebbe: (smiles) If your intention is to be melamed zchus, it's nice. R' Kahana: I myself was not aware. Rebbe: What didn't you know? You weren't aware of the relationship between R' Chaim Ozer and the [Previous] Rebbe and the Rebbe Rashab?! R' Kahana: R' Chaim Ozer I did know, Baruch Hashem, and I certainly knew of their relationship. Rebbe: R' Chaim Ozer was a great lamdan, and chief Rabbi of Vilna. He worked with the [Previous] Rebbe and Rebbe Rashab. Nobody needs to go now and seek permission for their hanhogos from a "chatzaf" keneged Toras Moshe Rabbeinu. Rather, from such chutzpa we must protest – if we remain silent the chutzpa only grows! I don't want to attack anyone, chas veshalom, but I ask you: In Israel there are many Irgunim shel Rabbonim, how can it be that the mecharcirei-riv do whatever they want and not one opens their mouth to say a word? We say in Shmoneh Esreh, "Es Tzemach Dovid avdecha meheira tatzmiach," but if we only recognize that if we would eliminate machlokes and sinas chinam, Moshiach would already have come! Chaval on our time discussing this matter… let's talk about chinuch in Eretz Yisroel. In Israel there are thousands of Jewish children that don't know the first letter of "Anochi Hashem Elokecha," and from year to year, more and more children – literally tens of thousands bli guzma (haklevai that it should be a guzma) of children don't get this education. What has been done in these forty years to save the chinuch for these tens of thousands of children? People come with criticism about Sukkah, but they won't even put their finger in cold water to help these Jewish children and bring them to be able to learn Torah! This doesn't bother them at all?! But they have no interest in these matters, because their goal is machlokes and sinas chinam – maaseh Midyan. Midyan was busy with Avoda Zara begilui, but now people are embarrassed of Avoda Zara begilui. 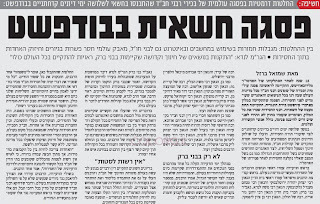 They serve Avoda Zara with the egel hazahav: They pay off Rabbonim and Roshei Yeshiva to write what ever they demand (they themselves aren't talmidei chachomim, their "lomdus" is buying off Rabbonim, etc) and now, now there is an argument over 16 million dollars – no exaggeration – that was earmarked for Yeshivos, and subsequently it came out that a fight ensued for control of the money and it was decided to temporarily keep the money in the USA. Then there was a debate about what bank to put it in, until they found a bank that paid a higher rate and deposited it in someone's name – and he became in control of the funds. And who benefited from the money? Not the Yeshivos; not even their own Yeshivos! R' Kahana: I'd like to apologize to the Rebbe for taking the time. R' Kahana: I know; I know what's going on there. I have come from there and that's why I wanted to smooth out the matter. R' Kahana: I knew R' Chaim Ozer, and I am aware of the relationship. 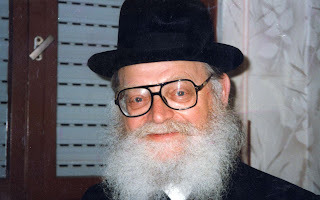 Rebbe: (smiling) Yeah, that's just what you need…that it get out that you asked me for a brochoh… B'chol ofen, may Hashem help, that you should merit to discuss the coming of Moshiach, and not about the hindrances to his arrival and the chutzpa that prevails from day to day. R' Kahana: I need a brochoh that Hashem should grant me deah tzelula. Rebbe: Certainly your daas is clear enough to explain to them what they need to hear, especially since they already know this deep down. R' Kahana: I mean deah tzelula in Limud haTorah, "Vehaer eineinu b'Sorasecha." Rebbe: We all suffer great pain from the rampant chutzpa of ikvosoh demeshicha, and you want to learn Torah with tzilul hadaas and menuchas hanefesh?! This is what Yirmiyahu answered Baruch ben Neriah ( Ch. 45) when he asked why he wasn't worthy to receive prophecy: "Koh amar Hashem – What I have built I will tear down, and what I have planted I will uproot, I am uprooting all the land, and you seek great things for yourself?!" Rebbe: May you have besuros tovos in an oifen of keflayim le'toshiah – and, as I said, I hope you weren't offended (and the Rebbe gave them 2 dollars). In short: some pervert is threatening a woman in Kiryas Joel who he says wears terribly provocative and immodest clothing, (as in the Dor HaMabul) and she's by extension profaning the whole town, that he'll do "everything in the world" till the family will pack up and leave "our town." Why do I call him a pervert if she may actually be doing something that's insensitive to the feelings of that village, and may be bringing others down with her? The answer is simple. No self-respecting Jew, who's truly bothered by her appearance (and I doubt it's as bad as he makes it) would go so far as to embarrass a family like that. I doubt a woman who was so terrible would sit around KJ if she was so different than the other people there. 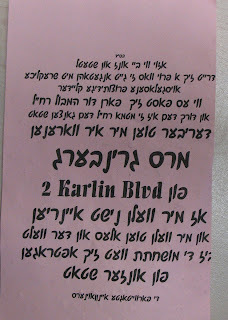 I do not wish to condemn the whole shtetl of Kiryas Yoel, so don't come and tell me what good people there are there. It is the culture however, that gives birth to such wackos, and makes them think that in some way they're doing G-d's work. So, Mrs. Greenberg of 2 Karlin Boulevard, Monroe, NY 10950, if I were you I'd pick up and leave that town, the sooner the better. When we're dealing with hallucinating nuts there is no reasoning with them, and you cannot rely on the fact that most people are good and will not hurt you. Contrary to popular belief most "frum" zealots are violent people who'd be street thugs had they not been born to a frum, Charedi, zealous society. G-d has nothing to do with it. Their character traits do not change however, they just get channeled into Kano'us, and they become stone-throwing, garbage-burning goons. So if these were street thugs threatening you you'd surely pack up and leave, right? These people are no different. There was an Asifas HoRabbonim in Budapest this week, organized by Rabbi Berel Lazar of Russia. Many of the Choshuvste Rabbonim in Chabad today, some of them Z'keynim, attended a conference that dealt with many of the problems prevalent in Lubavitch today, are there are many, just like there are in other circles. Chabad does have it's own, unique problems, since it is spread out over the world and interacts with all elements of society. There are consequences to living life like that, even if we think that it's all on the "Rebbe's Pleytzes." The conference was hold behind closed doors, with no access to any press or cameras. This is a major Chiddush in Chabad these days when every sneeze by a Shliach gets eternalized by the camera, and a conference such as this would've had non-stop coverage had it happened at any other time. The only picture they have so far is of the exterior of the hotel where it took place, which probably means that there was no preferential treatment shown to shvitzers and such, and that it was strictly Rabbonim present. 1) Strengthening the achdus between members of Anash (Lubavitch) so that people who live together should actually like each other. Sounds like a good idea. I mean why be in the same group if you can't stand the sight of each other, right? and besides, this is supposedly the reason why so many calamities befall our communities, and who wouldn't want to try and stop them from happening in the first place! 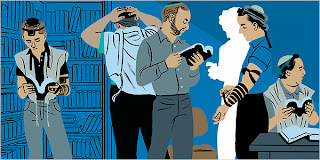 2) Strengthening the connection between Rabbonim and members of their respective communities; that Rabbonim have more of a say in what goes in their communities, (which is sad if that's already not the case) and that they show more of an interest in both the spiritual and material needs of their constituents. That may sound like a power struggle for some of you paranoid freaks out there, but it sounds good to me. After all, if the Rov gets you to come learn, and if he helps you out in times of need, then you're just about covered. 3) Increasing Shiurei Torah in all communities and encouraging the Kehillah members to join in these shiurim. No complaints here, unless you just don't like it when learning's going on. There are more, and you can see them for yourselves. So where's the problem, you ask? it's this. Looking at some of the comments made at COL I sit and I wonder why anyone would comment like that, but it happens every time somebody tries to do something. Many laughingly point and say that it was a failure, and that not all Rabbonim showed up, or that many were not invited. Other, fools that they are, say that the Rebbe once denied the request for such an Asifah, so for all times from then on no meeting of Rabbonim may EVER take place. Yet others will say the real reason this Asifah was called was because RBL is afraid that Putin will lose the next election, and wants to consolidate power within Lubavitch, since he'll lose the title of Chief Rabbi once Putin gets voted out. There's also the Seforim, the Libraries still being held by the Russian authorities, and the Jacksonwhatever amendment/rule/proposition, and that Putin told Lazar to gather the Rabbonim so that they stop botheirng him about returning the Seforim! The message from the Tzig is clear and unambiguous: You guys making those comments need to either get a life or leave Lubavitch, because next to Meshichism it's you that hinders any progress, and who destroy any good that's being done. You'll eventually bring us all down. A story written and filmed by seemingly Yiddishist students at Vassar College in Poughkeepsie, New York. I wonder what the message is that the author is trying to convey; with the goat looking for greener pastures, the son following the goat and leaving, and the father killing the worthless Tzig before he reads the note his son wrote and attached to the goat's neck. Is there a subliminal message here about the cruelty of the father to both the son and the goat? What about when the old man says "zi hut altz, un fohrt kayt zi di shtrick;" is that some kind of Mussar Shmuess how man always looks for greener pastures, when all that he needs is right at home? I hate it when I don't understand the messages these types of stories try and send, It makes me feel so inadequate, and uneducated. My father ZGZ came home from shul this Shabbos and recounted what he heard there. An American-born Stoliner Chossid (not that his birthplace is relevant here) davens in that particular shul and told all who would listen about a custom they have that's sure to raise some eyebrows. It should have all the so-called defenders of the Torah and guardians of Judaism screaming and condemning them, as is the case concernning Lubavitch, but of course it doesn't happen, because if it isn't Lubavitch nobody cares. It also feeds right into the hands of those that say that Chassidim don't follow the Shulchan Aruch whenever it's convenient for them. We of course know that to be full of baloney, but we'll allow those people to have fun anyway. First, a little history. The great Reb Ahron of Karlin was a Talmid of the Maggid of Mezritch. He passed away at the young age of thirty six, and left a son named Osher. He also had a disciple, Reb Shlomo of Karlin, who took the young Osher under his wing and raised him like he was his own. Many of today's customs are based on Reb Shlomo Karliner, including the loud, very loud davenen that Karlin is famous for, and it may be safe to say that were it not for him there would not not be a Karlin Stolin for us to enjoy. He passed on the teachings of Reb Ahron HaGodol to Reb Osher, as well as to others like Reb Uri of Strelisk and Reb Mordche of Lechovitch. [There's also lots of talk about him being Moshiach ben Yosef, being that he was killed by a Cossack, but we'll leave that for another time.] Suffice it to say, that despite him not being part of the Perlow family, that Reb Shlomo plays a very important role in today's Karlin-Stolin. Reb Shlomo's Yohrtzeit is the 22nd of Tammuz, smack-dab in middle of the "three weeks," a time when we don't make weddings, don't buy new clothes, don't make a Sheyecheyanu, and generally consider it a time of mourning. It seems like the Karliners wanted to make something special out of this day, being that the Tzaddik's Yohrtzeit is a time of great joy in heaven, so they did some simple math: The three weeks is twenty-one days, right? and how many days do we keep? twenty-two including Tisha B'Av, so that leaves an extra day, right? Great! so they proclaimed: From hereon in the 22nd of Tammuz is not min HaMinyan! They make weddings, say Shehecheyanu, and do anything else forbidden during the other 21 days. For some reason, anybody I spoke to seems to be OK with this line of reasoning, saying that they have it on good faith, and that the Minhag has it roots Beharerei Kodesh. I would also like to point out that the Minhag has the Haskomoh of the late Ponovizher Rosh Yeshivah REMMS, who was the Rosh Yeshivah in a Karliner Yeshivah in Lunenetz for a number of years, and who presumably saw this custom being practiced year after year after year, and did not protest. I’ll elaborate, since this post wasn’t really complete. First of all, for all the simple minded folks who live their lives without thinking about what they’re reading, let me state clearly: Nowhere did I exempt Lubavitch from anything I wrote. Actually I don’t think I mentioned Chabad here at all. I realize that most of the readers here are so full of hate that they understand everything in those terms, but I am clearly including Lubavitch in this criticism. The problem, in my opinion, is this klippa called “I want to do the right thing.” This is the root of all that is wrong in Yiddishkeit today. I realize that most people don’t have any clue what I’m talking about, and that’s a shame, but this attitude is pathetically sad. 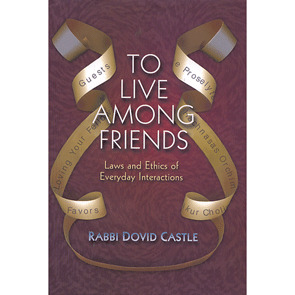 We have books and books of LAWS, of CUSTOMS, of RULES, and of INSTRUCTIONS – all catering to those who “want to do the right thing.” Contemporary Yiddishkeit has checklist upon checklist for “how to do it right.” Sadly, this is the most superficial and decidedly unreligious attitude, and unfortunately, this is also the main emphasis of our educational systems. It has brought us countless chumros – theoretically good, right? – and has made us all more Ehrliche Yidden, more connected with G-d, right? Any intelligent Jew would have to say… no, it hasn’t. A Simple Jew sent me a link today, asking if I had seen This set of books Well, I haven't seen it, and I imagine there are many good things in there, but I was immediately turned off. First of all, the byline: "Laws and Ethics of Everyday Interactions"
I don't like the word "laws" nor do I like the word "ethics" here. I think it should say something like "Being Jewish in your everyday actions," or something like that. Titles and descriptions like these sound so condescending and pretentious to me. Maybe it's me, but I find this kind of Yiddishkeit to be a big turn off. Notice the difference? A little less pretentious? A little less offensive? First of all, the assumption that I need this book for baseline behavior – and that this book is the word of G-d telling me how to become a mentsch – is a bit insulting; but more than that, I'm a bit sick of everyone printing up these books of rules. Somehow, Yiddishkeit has been stripped down to "one-man's-determination-of-how-to-live-your-life-and-do-the-right-thing." How empty. It also touches on another thing that especially annoys me: the attitude that "this one true set of behavior and minhagim is what Yiddishkeit is about." There is no soul to this commonly held attitude of Judaism. It's just lists and lists of rules - and although these books are useful and even somewhat valuable, they have gone quite far in killing the religion. Or maybe I'm just allergic to people telling me what to do? "Learn to appreciate the wonders of creation... found in the seed of an apple. Master of Appreciation, Rav MIller is at his best at teaching us to appreciate the master designer of the universe"
After Minchah in Midtown on Shivah Osor B'Tamuz I met up with an old Yeshivah mate of mine. (Nisht Chabad) This chap has yet to find his match, his Bashert if you will, and he works at his father's business in the city. It's quite obvious that his failure to find a suitable Shidduch, when all his friends have grown kids that they do homework with and visit in camp, has affected his entire outlook on life, and he remains quite bitter. It's difficult for him to say the words, "wife," "kids," "married," etc, and I try my darndest to refrain from speaking about my personal life altogether. We'll speak about work, the trains, the buses, and working on legal holidays, but the whole marriage/kids subject is taboo to me. I'm a super-sensitive guy and try and keep from hurting other peoples feelings as well. I guess you all had me figured for a ruthless attack dog, right? wrong. Anyway, to make a long story short, we got to talking about a recent move I made in life, a move in location. That's right folks, the Tzig has left Boro Park and has headed for the suburbs. It'll take some getting used, but the Mother Tzig, mother of the little Tzigelech, decided that it's time to go, so we went. Now I need to schnorr rides to and from the bus, and take the car everywhere I go. So we were discussing the move and all it entails; the commuting, the hard water, the snow removal, and everything else. He suggested that I ask for permission from my boss to telecommute once or twice a week. I said Id definitely consider it. At the end of the discussion, being that it was the 17th of Tammuz, he tells me "Have a meaningful fast." I was going to ask him what he meant but he was already halfway down the block, and I was wasting company time, so I never got an explanation. Now, I know this much: I know that the main point of the fast is not the refrain from food, but the Tshuvah that should be accompanying it. I know the Rebbe would speak "Divrei Kevushin" on fast days. But I'm not quite sure what a meaningful fast would consist of. Is it repentance? an addition in Ahavas Yisroel, the unconditional love for our fellow Jews that we so lack, and which destroyed the Botei Mikdosh that we mourn till today? Maybe. But why then do we use the term "Meaningful?" Is it an Artscroll thing? I recently moved homes. Thanks for the well-wishes. With the expense and effort comes the lack of time. I have very little time to read what others write, let alone write on my own. I hope to be back on a normal schedule and engage you in conversation very soon. Until then I'll write as frequently as I can, but cannot promise to respond to all your questions. 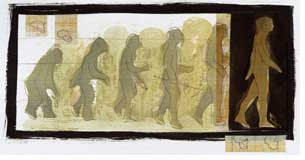 WSJ: Did we come from monkeys? Ask the Zoo Rabbi. Tzemach just posed an interesting question: Why couldn't Chabad keep Zalman Shechter (and others of that type)? The truth is, the bitter enemy of Chasidim is Ta'avos Olam Hazeh, not Misnagdim. There is nothing in Toras HaChasidus that prevents one from davening in a Litvishe shul, with a litvishe nusach, with litvishe minhogim etc. You may not be able to point to such a person and say an echte chasid, but the contradiction is social, not religious. Taavos Olam Hazeh are the worst enemy of a Chossid. They drag him down, dry him out and prevent him from Avodas Hashem, and in our generation from our Shlichus and Hiskashrus. (As the well known story with the Rebbe, asked by a Chossid for a brocha for Hiskashrus, the Rebbe replied, "One selects the finest portion of food, adds salt to taste, and then asks for a brocha for hiskashrus?!") Zalman Shechter would truly have been one of our finest lights - if not for Taavos Olam Hazeh, in his case getting high on LSD. Shomo Carlebach would as well, if not for women. Shlomo managed to maintain certain standards, Zalman lost them altogether, but they each fell to our enemy. Other Chasidim, less well publicized, have fallen to this as well. In essence, a Chossid who farbrengs overmuch about Misnagdim is in denial. A Chossid who farbrengs overmuch about avoiding Taavos Olam Hazeh is fighting the good fight. This has many modern day implications. My enemy is not the Misnaged, but the taavoh for kovod, sinah and money that accompany the fight. My enemy is not ---------, but the taavos that brought him down. My enemy is not the pitiful child I meet on the streets of Yerushalayim, Crown Heights, Bnei Brak or Boro Park, but the taavos they have fallen to.